After the success of the 2016 Copa America Centenario, U.S. Soccer sent a proposal in late February to 10 South American federations to invite their national teams to play in a similar tournament in 2020. After taking office promising transformational change, U.S. Soccer President Carlos Cordeiro is pitching a plan he believes will help grow the sport in America. U.S. Soccer President Carlos Cordeiro, elected in February 2018, crafted a package that would reportedly subsidize travel fees and public appearances for South American squads. The proposal also provides bonuses for each point scored as well as an $11 million prize for the winner. The proposed tournament would also include six teams from CONCACAF, the confederation made up of most North and Central American teams as well as the Caribbean. The structure is expected to be similar to that of the Copa America Centenario. Cordeiro spoke in grandiose terms when he took the job. “U.S. Soccer needs to change,” he said. “Transformational change. The vote comes down to one simple question: Who can actually deliver that change?” This is certainly a vision that would help attract greater attention to soccer in this country and include the U.S. in a higher level of international competition. The U.S. did not qualify for the 2018 FIFA World Cup but was selected as part of a multinational bid to host the 2026 Cup. Cordeiro was selected, in part, to overhaul the organization in response to the country’s failure to qualify for the 2018 event. 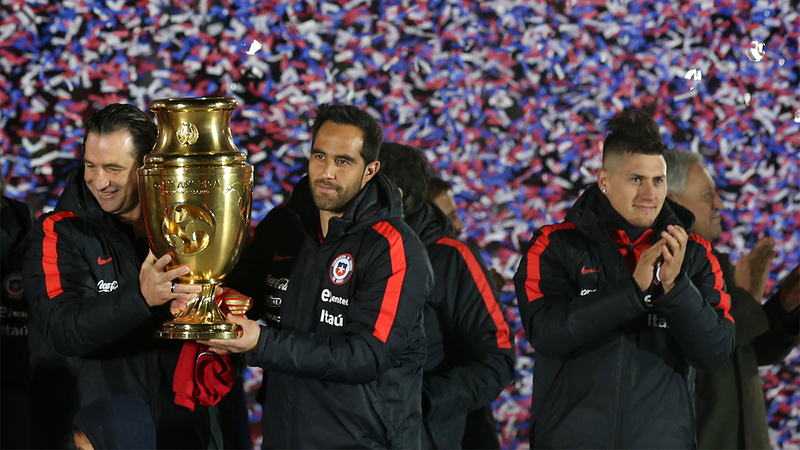 The Copa America in 2016 welcomed nearly 1.5 million fans and a combined 100 million television viewers, representing a massive success during its debut in America. “We all knew this tournament had great potential both on the field and off, and I’m happy to say that we were able to come together and provide the millions of fans both in the stadiums and around the world with a fantastic experience during Copa America Centenario,” said Sunil Gulati, who was the U.S. Soccer president at the time. CONCACAF and South America’s CONMEBOL have their own tournaments, and the 2020 tournament proposal would not seek to replace existing competitions in the Americas. Rather, it is designed to fill a void in the current calendar and provide another option for soccer fans in the Western Hemisphere during the summer, when the only other international competition is UEFA’s European Championship. The proposal calls for the tournament to take place in America every four years, offsetting CONCACAF and CONMEBOL’s own competitions. While CONMEBOL rejected an initial offer, CONCACAF seems to support the proposal.